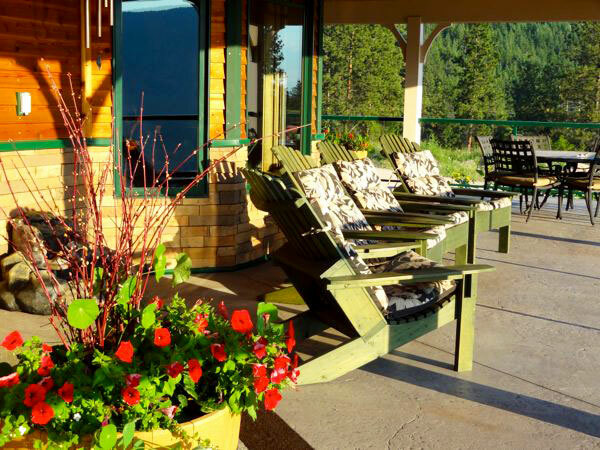 Country Ridge Bed & Breakfast reviews and recognition come pouring in from our guests, our community and from the tourism industry and we take pride in offering a superb, award-winning facility. It is always a joy to receive notes from our guests letting us know that they have enjoyed their stay with us and we are pleased to share their remarks with you here and throughout our website. Great place for a Grown-ups Getaway! “My husband and I just returned from a lovely few days with friends to celebrate a couple of ‘milestone’ birthdays. 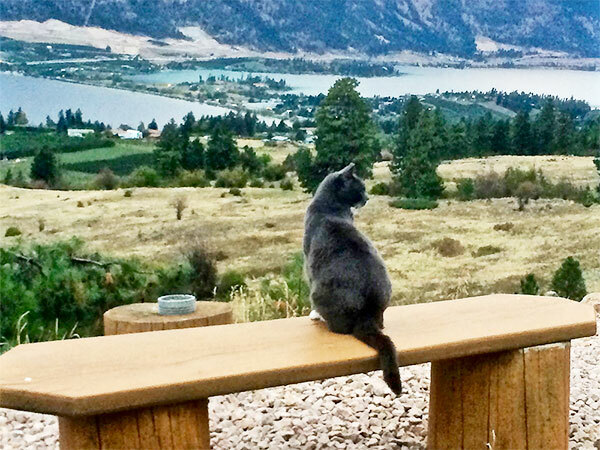 We had a wonderfully relaxing few days at the Country Ridge. 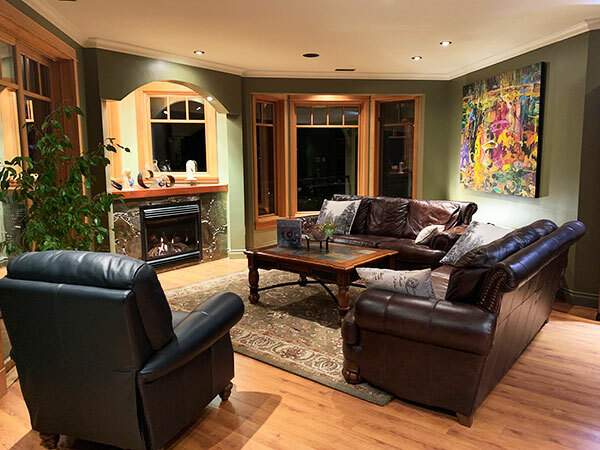 This B&B is quite rural, so it’s very quiet and peaceful, but is only about a 15 minute to some great restaurants, wineries etc, and only 5 minutes to the beach. Hospitality at its finest. Incredible views. Excellent rooms. A perfect oasis. Robby has a wealth of knowledge of the area and provides unique suggestions to explore the region’s offerings of great wine, restaurants and speciality experiences. 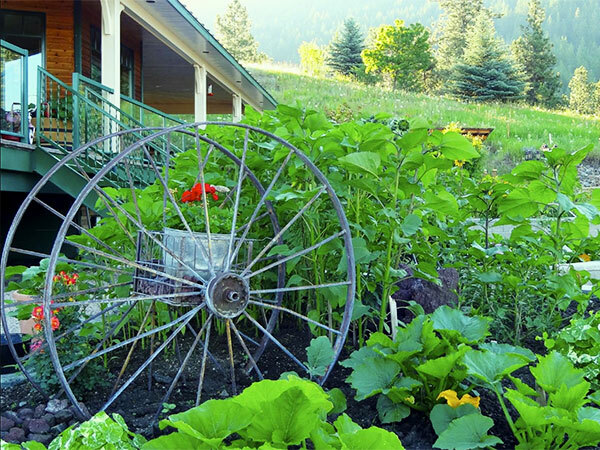 Staying at Country Ridge B&B is definitely a repeatable experience. It’s hard to describe how AMAZING Country Ridge B&B is. Our host, Robby Tranfield, has thought of every detail to make your stay spectacular. 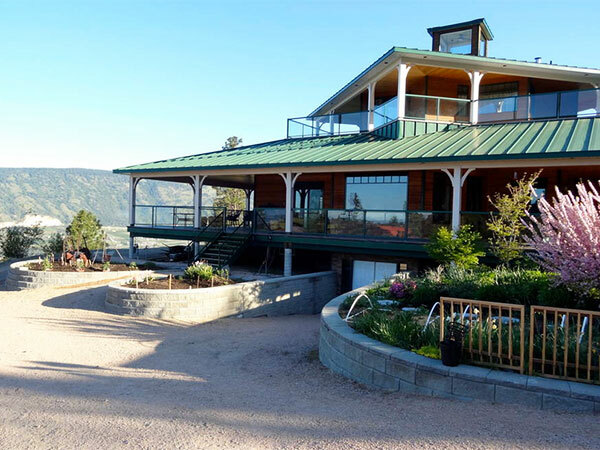 The location of the property, tucked away in Oyama, overlooking both Wood Lake and Kalamalka is stunning. 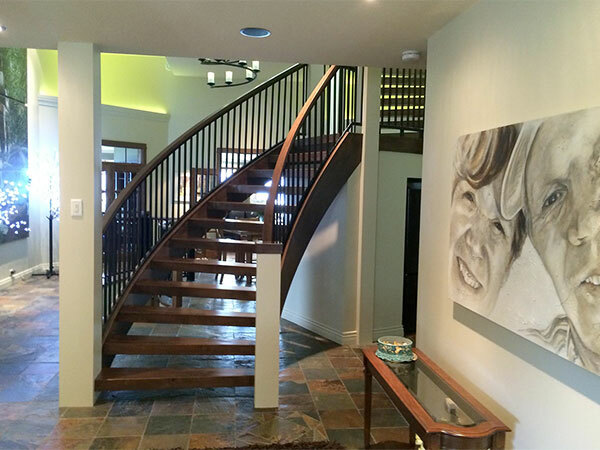 The actual home has been designed with such care and artistic flair. The rooms are decorated with comfort and luxury in mind. The common areas you have access to help enhance your stay down to the smallest of details including beautiful evening lighting. 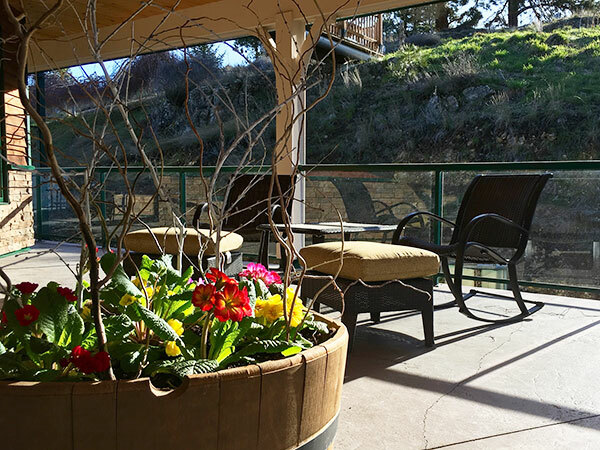 Have a glass of wine and pastry on an Adirondack chair in the afternoon, take in the vista on the ample deck spaces. I haven’t mentioned the breakfasts yet, but our host, is so talented in the kitchen and uses all of the local abundance to inspire her. Robby, my sister and I can’t thank you enough! Robby responded to one of her guest reviews, “Some people come as guests and leave as friends.” It only took a few short moments after arrival as guests, and we experienced the transition. From the initial booking thru the entire stay, Robby went above and beyond being accommodating. 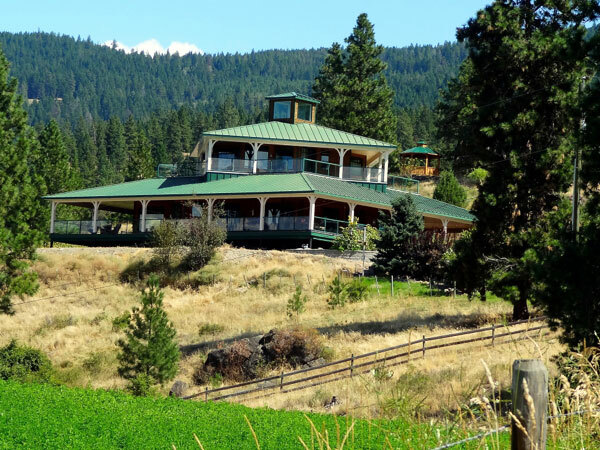 The property/scenery/hospitality is amazing and was a fantastic way to unwind and absorb Lake Country. 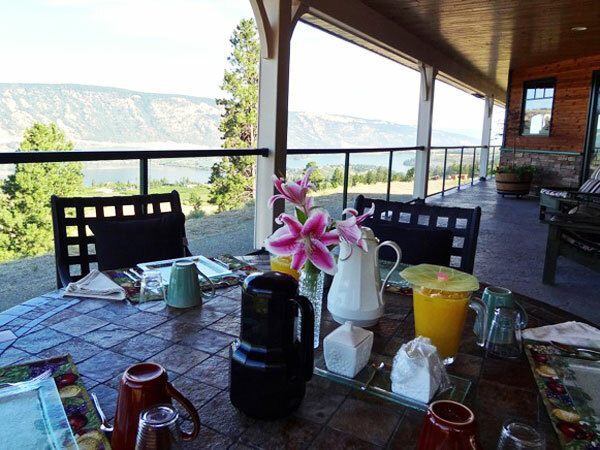 Great location to start your day with breakfast on a scenic balcony and end it with wine /cheese and a sunset view. I read a sign in one of the shops in town, “Life is not about what you make, its about the memories you make.” Well we are looking forward to returning and making more memories. Fabulous place to stay !! This was an outstanding place to stay! I can’t say enough about what an all around great experience this was. A friend and I were looking for somewhere to get together for a girls getaway and this turned out to be the perfect spot. The hosts are the best. Their house is absolutely beautiful, but more importantly, they make you feel completely at home. The rooms were beautiful and very comfortable. Breakfasts were fabulous, with much more food that either of us could eat. The view from everywhere in the house is fantastic! The family is very knowledgeable about the area and offered lots of suggestions on things to do during our stay. They offer just the right amount of hospitality, while totally respecting your privacy. I am really looking forward to returning for another stay!! This was the most fantastic place to stay, breakfast was to die for! Really enjoyed our visit here, lovely comfortable rooms, great views and Robby was just the most perfect host. Would not hesitate to recommend a stay at this wonderful place. This B & B is one of the best places we have ever stayed. The accommodations are superb. Robby is one of the best hostesses we have ever had. She is extremely knowledgeable about the area and will provide you with so much information. The breakfasts are delicious. The views are to die for! Highly recommend putting Country Ridge on your bucket list. 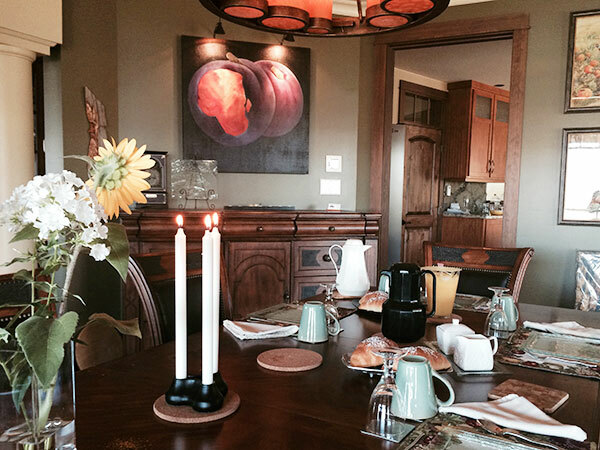 A beautiful relaxing B & B with amazing views and the comforts of home. Robby made us so welcome with culinary skills to die for. A difficult place to leave behind, but we look forward to many visits to this B & B on our travels through the Okanagan. Highly recommended. Recognition by Member of Parliament, Ron Cannan, for outstanding achievement in Tourism.